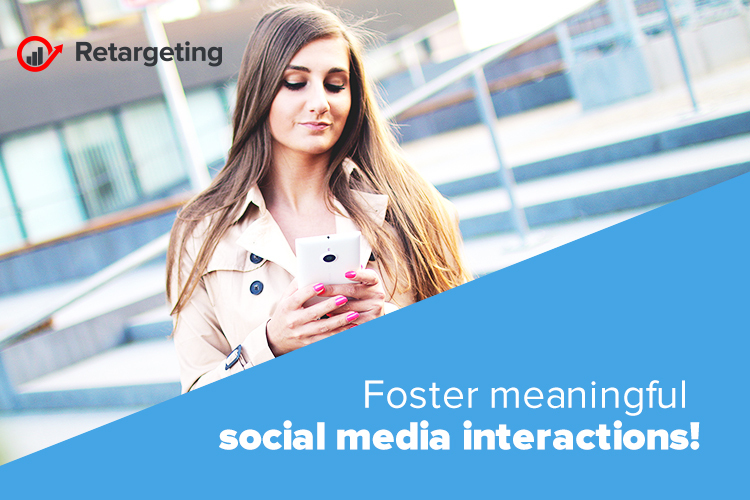 Foster meaningful social media interactions! Social media can do a world of good as long as it remains “social” in nature. Unfortunately, it’s become more of a catalyst for social isolation. It used to be all about having fun or getting the latest news of the day. Now, it’s hard to get through it without feeling like the world is falling apart. It’s almost as if our social media experience belongs less to us and our social community of friends, family, and colleagues, and more to the brands that want to capture our attention. According to recent studies, about 74 percent of “digital natives” (Millennials and Gen Z) object to being targeted by brands in their social media feeds, with 56 percent reporting they’ve either cut back or stopped using social media entirely due to ads in their feed. People don’t want the digital world becoming an endless string of promotional or “clickbait” content. Brands need to help lead this charge. The added benefit? It’ll help them demonstrate that their goal is to make their lives better in some way rather than to intrude on their relationships. Consumers want to have a positive relationship with your brand. You need to shift your entire approach for communicating and marketing to your customers through social. A good place to start is by simply being where your consumers already are or where they need you to be. Your brand is only as strong as your most loyal customers. Help them see how important they are to your brand. When they ask a question, answer immediately. When they give you feedback, say thank you. Show your customers that you truly care, and they’ll reward you with their trust, loyalty, and positive word of mouth. Master your digital customer service! If a customer reaches out to your brand on social media for any reason, be ready to respond fast! Every time. Part of winning the loyalty and love of consumers is by mastering and over-delivering on the basics of customer service. If you care about your current customers just as much as you care about earning the loyalty of new customers, then you’ve got to approach social with a customer-first mindset. Brands are competing more than ever before on customer experience. If you don’t deliver, your customers will look the other way. If you want their attention, you have to engage them in real conversations. They really want you to do that, too, they are more than happy to engage with brands as long as brands give them a good reason to. If you authentically engage with them and do whatever you can to personalize the interactions you have with them, there’s a good chance they’ll respond and even become your biggest advocates over time. Consumers are getting tired of social media and are ready and willing to tune it out completely. As a brand, you have a choice: continue to lead them down the path of burnout or empower them to use social media to create a stronger relationship with you. Email marketing trends to put you on the map! Free Shipping: How, when and why to offer it!